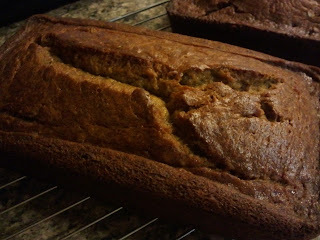 Robin's Eccentricities: Juicy Banana Bread? 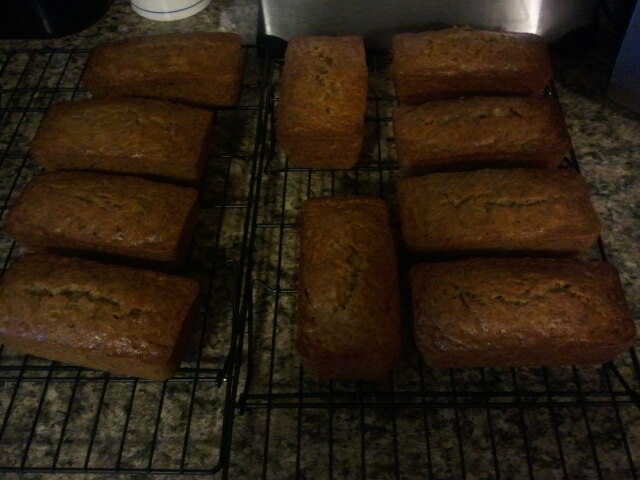 Mom makes the best banana bread in the world. It is juicy. Yes, juicy. I tried for many years just following the recipe she used and it never turned out like hers. She would tell me that she substitutes some of the liquid with banana juice from the frozen bananas and she used extra bananas. The original recipe called for 1 1/2 cups. That was where I always made my mistake! I finally asked her, "How much extra banana?" This recipe includes her modifications. Try it, you won't regret it! My favorite way to eat this bread is cold with margarine. 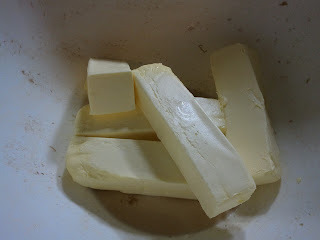 (Believe it or not with all my talk about only using real butter when cooking I honestly cannot stand the taste of it used as a spread!) Others prefer it warm with butter melting off from it. You decide for yourself. 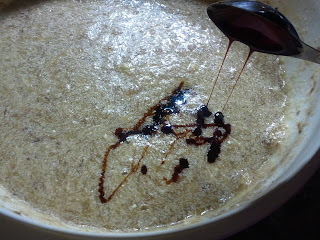 I should also add that the pictures are a triple batch of this recipe. The bread freezes wonderfully and is just as moist thawed as it is fresh. Freeze your bananas first. 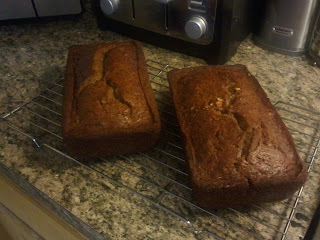 (I just toss my overripe bananas into a bag until I have enough to make bread.) Drain liquid from bananas. Option 1. 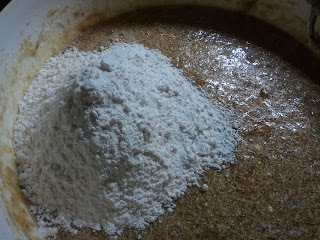 To sour milk add a drop of vinegar and let sit until lumpy. 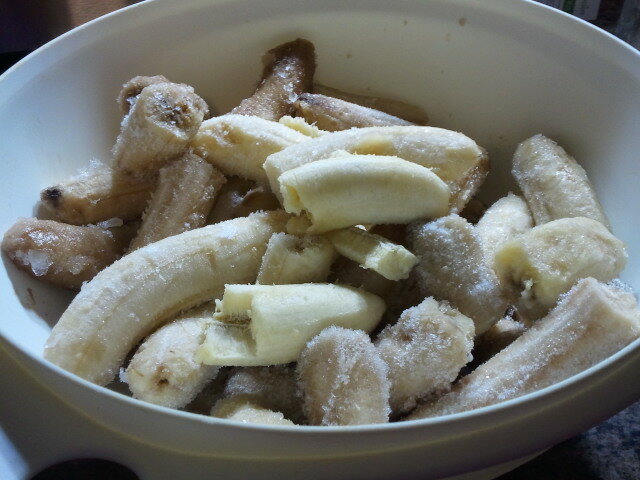 I just used the same bowl I thawed the bananas in. 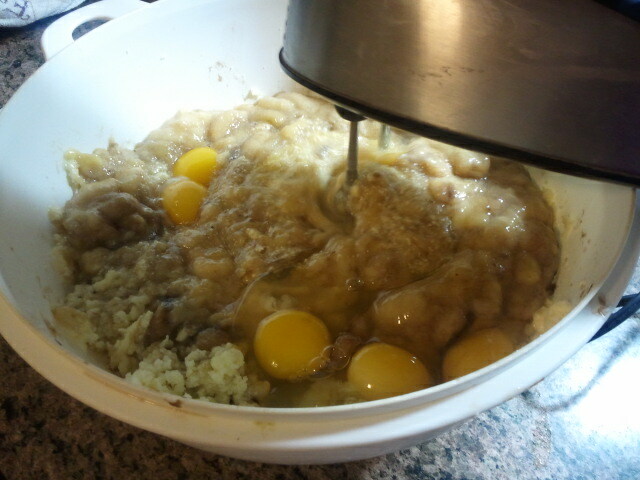 Blend in bananas, eggs and vanilla and molasses. Alternately add flour with sour milk blending well. Pour into 2 greased 9" loaf pans. Or several mini loaf pans.